What are the factors that constitute success in high speed navigation at sea? 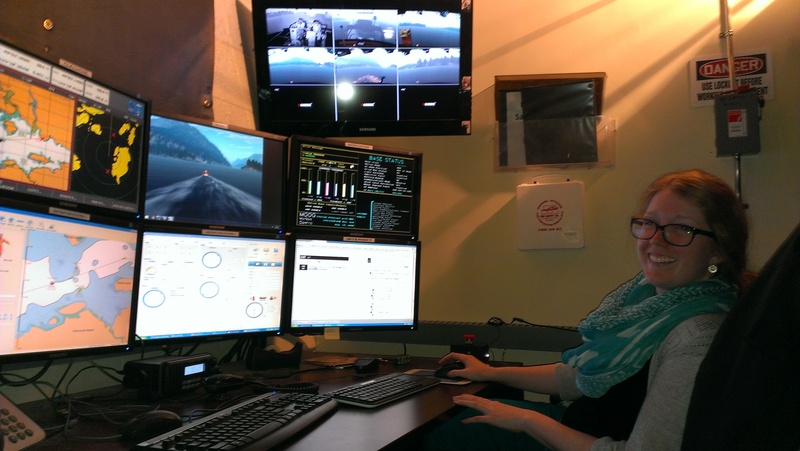 Recently we conducted a trial at Memorial University of Newfoundland where we put 32 Subject Matter Experts through four navigational scenarios. 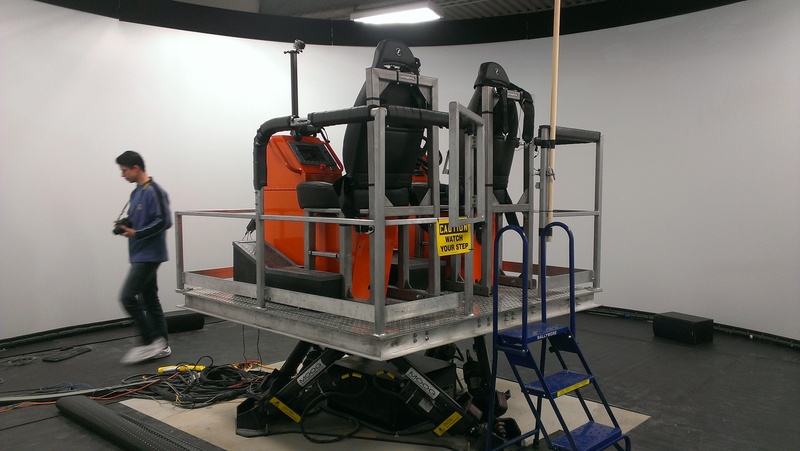 The trial was conducted in a simulator with 360 degrees of visual channels projected on a screen and the cockpit attached to a motion bed with six degrees of freedom. Without having had a moment to analyze the data collected I must say, from a personal opinion, that adding good motion to a simulation really increases the immersion. During our trials we were pretty moderate with adding to much waves and thus motion to the simulation when we weren’t sure on the effects. Nevertheless, a very subtle movement of the consoles stimulates all our tactile sensors and our balance. This becomes very apparent in turns. The motion-bed rotates the platform with the cockpit on up to about 40 degrees which gives a very vivid impression of turning. And when one is going from turning to go straight again the motion-bed then rotates back to its normal position again which also feels very realistic. From a trainer’s point of view, the added motion probably opens up for many new kinds of skill development that isn’t possible without motion. Even though the simulator in its present form can’t simulate wakes from other ships boarding seems very realistic. It is a cool sensation when the simulator actually is providing me with a realistic “bump” sideways when I did hit the other vessel in the boarding process. Now, our trial wasn’t mainly about evaluating simulation or look at its potential application in training but it hard not to write about it when it makes you that exited that I got about it. What we did look for was success factors in navigation. Our thesis is that preplanning or feed-forward is key factors of success. That proactive behavior is safer and more efficient then reactive behavior. I guess some of you might argue that those ideas are old news and maybe they are. What we want to do is too look at them from Resilience point of view and hopefully be able to quantify them in terms of control. We have a lot of work to be done before we can say anything about this. I don’t think it is a stretch to say that the reductionist way of looking of men is widespread. Human error or unsafe acts are all too often attributed as the root cause of accidents. The notion of causes and especially root causes seems to be a crude simplification in a society witch actually is the embodiment and the very essence of complexity. Things that happen sometimes can be explained and rarely have simple causes. On top of that we have the notion of human error. In order to be able to talk on terms of error there must exist an alternative and that are correct actions. I am then curious, what are these correct actions and how are they defined? From a reductionist point of view human error is limited or avoided if human performance can be kept in a predefined envelope. This might be true if we were machines with no or very little variability in our everyday performance. But we can’t be limited to a mechanistic model of function that can be controlled and guided by a strict set of rules and procedures. When it comes to more advanced tasks that requires sharp end users to be skilled or possess expertise, this becomes more obvious. In our case we are interested in navigation in challenging waters with lot of islands and underwater rocks. Add to that the mission of Search and Rescue and the uncertainties start to pile up. Is it possible to obtain control in such situation by a constraining the operators behaviour? I think not. Different tasks in different situations calls for a diversity of control mechanisms. The operators need to be able to adapt to the situation to maintain safety and get the mission done. Rules and procedures are a key factor to team performance but they can only be of assistance in situations that has been thought of in advanced. The problem is that it is impossible to think of everything in advance and if that was possible and if one wrote procedures for everything there would never be time to use them because of their sheer mass. All our participants performed subjectively well. They all managed to handle all the challenges we put them through. On a superficial level they seem to do it differently but I suspect that there are generic skills that they have developed independently from each other and I suspect that preplanning and adaptability are example on those. It shall be interesting to see what we have captured in the trials. Will we find proof for out thesis or not? Will we be able to look at the data without bias, without the coloured glasses we are wearing weather we want it or not? I would like to thank Professor Scott MacKinnon for making this experiment possible and my fantastic colleagues at Memorial University of Newfoundland: Jennifer Smith, Patrick Linehan and Matt Miné-Goldring. All comments are valuable, please do speak your mind!